The literature of terror is born precisely out of the terror of a split society and out of the desire to heal it. 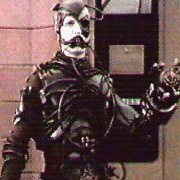 People often compare the Borg, the cyborg gestalt from the Star Trek franchise, to Doctor Who's Cybermen. 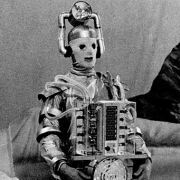 Both races were conceived as humanoids physically augmented with technology, hence a certain superficial visual resemblance, particularly between the Borg and the earliest Cybermen, from 1966's 'The Tenth Planet'... which has just been released on DVD, if you want some way for this post to be halfway relevant to anything.